Israeli official: We condemn anti-Semitism but that doesn't mean Soros is exempt from criticism. 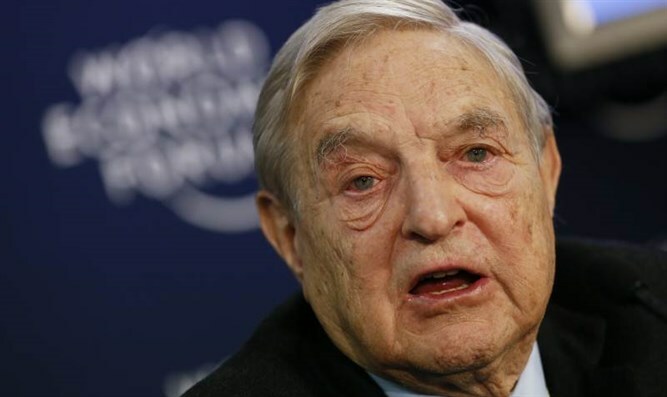 Israel on Sunday clarified its stance regarding the campaign in Hungary targeting U.S. billionaire George Soros, which Jewish leaders say is stoking anti-Semitic feelings. The posters show a large picture of the Hungarian-born Soros laughing, alongside the text: "Let's not leave Soros the last laugh," a reference to government claims that the 86-year-old wants to force Hungary to allow in migrants. On Saturday, Israel's Ambassador to Budapest, Yossi Amrani, called on Hungary to stop the campaign, saying, "It's our moral responsibility to raise a voice and call on the relevant authorities to exert their power and put an end to this cycle. I call on those involved in the current billboard campaign and those responsible for it to reconsider the consequences." "At the moment, beyond political criticism of a certain person, the campaign not only evokes sad memories but also sows hatred and fear," he added. The official clarified that Soros himself deserves harsh criticism. The Jewish billionaire has come under fire for his support for anti-Israel leftist groups. "Under no circumstances was there a statement aimed at de-legitimizing criticism of George Soros, who continues to undermine the democratically elected governments of Israel by funding organizations that defame the Jewish state and seek to deprive it of the right to defend itself," the official said. Following the Israeli envoy's comments on Saturday, Hungary's foreign ministry said it was protecting its citizens. "Just like Israel, Hungary too takes steps against anyone who represents a risk to the national security of the country and its citizens," it said in a statement.